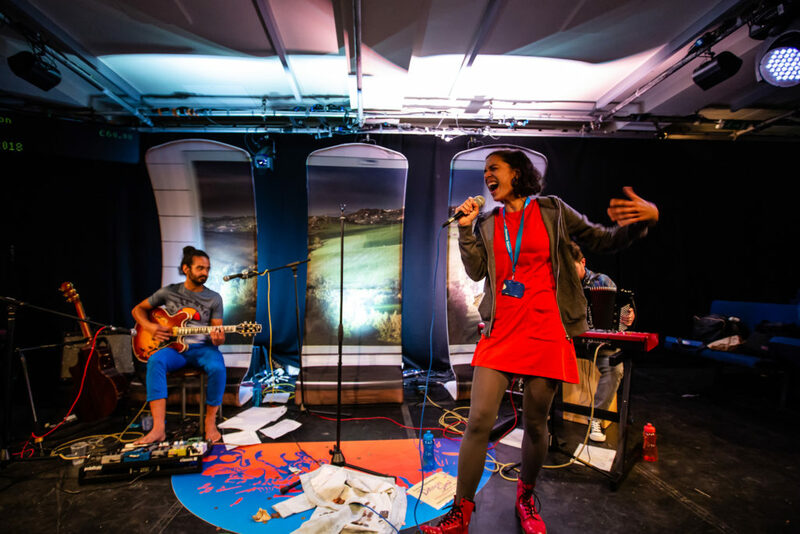 Danusia Samal’s lovingly crafted show, based on her experiences of busking on the London Underground is engaging, moving, funny and utterly delightful. Anyone who can start a show by singing Otis Redding, and get away with it, is clearly a highly accomplished singer and Danusia more than got away with it, she owned it. Standing on a set, splendidly designed by Bethany Wells to evoke the Underground, Danusia takes the audience with her on a trip down memory lane that includes characters such as her Mum, her ‘almost Dad,’ Experience, a boyfriend and assorted commuters. ‘Picture this.’ she asks several times, and then draws a portrait through words and song that vividly evoke vignettes from her busking life. The sense of the loneliness of the busker, ignored by passers by, singing her songs to a sea of strangers, is beautifully counterbalanced by the arrival in her life of a character she refers to as Experience. Experience likes to sing, and acts as a sort of alter-ego, pushing Danusia to confront her feelings, to dare to act, and to experience life. There are some great songs in this show and Danusia really can sing. She is accompanied by two musicians, Joe Archer and Adam Cross and there is great communication between the three of them. Music is the thread that holds the show together, and music can be powerful, often inducing an emotional response better than any other medium. The audience share in Danusia’s feelings as she takes a journey through her memories. Sarah Readman’s lighting Design and Jon McLeod’s sound design work seamlessly with the set to create the underground, the backdrop to her story. The direction has a light touch, leaving the show to feel very natural and immediate, Guy Jones has done a lovely job with this. I really recommend this show. 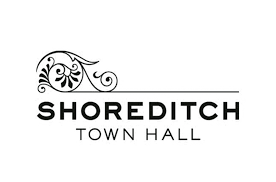 Catch it while it’s still at Shoreditch Town Hall, you won’t regret it!